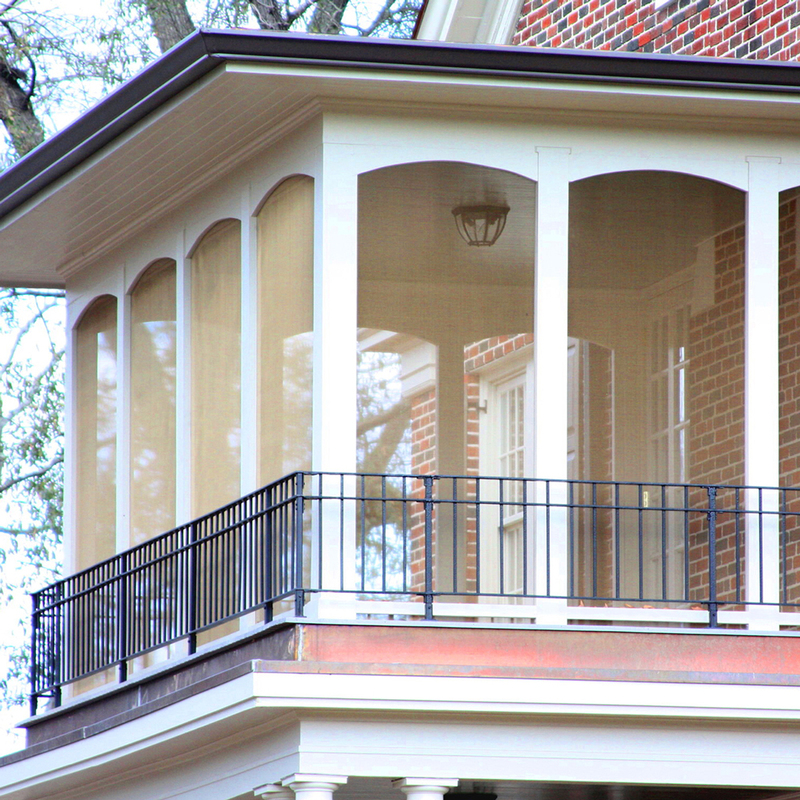 Classic and landmark homes can retain their historic charm and authenticity with bronze and copper insect screening. Phifer’s Bronze Screening provides strength and durability, blocking insects from entering the home while allowing cool breezes to flow through open windows. In cases where homes are considered historic landmarks, it’s required that any fixtures added to the home be made solely from materials that were available during the period in which the home was built. Phifer’s Commercial Bronze Screening brings out the beauty of copper architectural accents, such as roofing, dormers, and gutters. Constructed from copper, this metal screening is strong and durable, perfect for use in screen doors, windows and porches --providing a link between the beauty of colonial styling, modern innovation and insect protection. Able to withstand harsh weather and salty air, Phifer Bronze Screen performs well in coastal and inland regions. Is an appealing and sturdy choice for use in screen doors, windows and porches. Over time, our Bronze Screen weathers from a bright copper to a rich, dark, burnished finish that ages beautifully. Strong and durable, our bronze and copper screening keeps insects out while maintaining the architectural integrity of classic homes. Made entirely in the USA, Phifer products are backed by 60+ years of expertise in weaving, manufacturing and continuous innovation in the field of insect screening and adhere to the highest manufacturing standards to ensure years of quality use.